The Kansoul should be very worried! While the veteran trio of Madtraxx, Mejja, and Kidkora, have established themselves as Kenya’s ambassadors of street anthems, their recent protégés, Ethic, are proving themselves capable of usurping them. The Kansoul did the ‘Lamba Lolo’ crew a good one when they jumped on Ethic’s second release, ‘Position’, a little over a month ago. The video has since been viewed over 1 million times on Youtube in just one month. 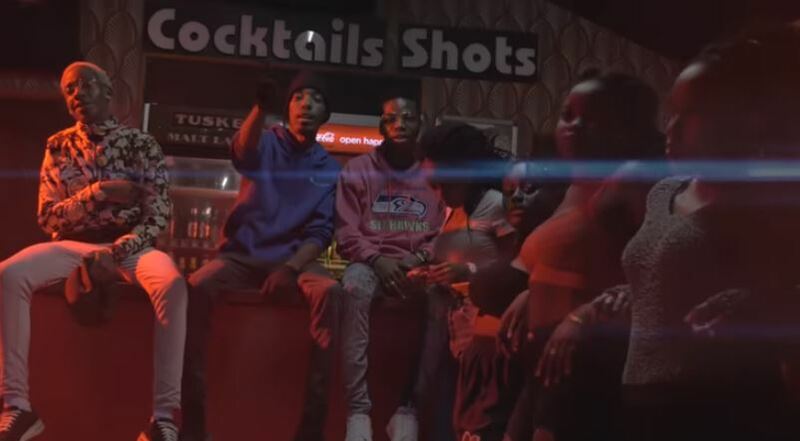 The Eastlands crew of Rekles, Seska, Swat, and Zilla appears to have gotten over the recent troubles with their manager and they are back with fresh visuals for their authentic street club anthem ‘Saba’. To say that ‘Saba’ is fire would be an understatement; it is straight out of the belly of Khaleesi’s dragon. Better yet, it is a huge improvement on their break out debut single ‘Lamba Lolo’, which received backlash for its raw and unadulterated scenes. ‘Saba’ is receiving nothing but positive reviews, with fans pointing out the improvement in their visual production. In fact, we are inclined to think that it was Ethic that helped The Kansoul in ‘Position’ because numbers don’t lie; in two days, ‘Saba’ has been viewed over 90k times compared to The Kansoul’s less than 50k views in three days on their recent Kwaito-inspired release ‘Pikoko’. ‘Saba’ is produced by Ethic, recorded, mixed and mastered at Pacho Studios, while the video is directed by Mackenzie.